Photo by Ed Schipul on Flickr and used with Creative Commons license. Photo by Ed Schipul on Flickr and used here with Creative Commons license. "After all the tech is touted, the challenge of attracting and maintaining the attention of anyone has to do with a compelling story." Open and closed video streaming platforms are now mainstream, and funding programming. In fact, according to BuzzFeed’s Summer Anne Burton, YouTube (c. 160M monthly desktop viewers) is now a lean-back, longform(ish) medium—suitable for evening viewing. PBS Digital’s Idea Channel showcases on YouTube. The paid-access AwesomenessTV (subsidiary of Dreamworks) on YouTube has $2M+ viewers. YouTube is investing in original content at the level of $2M a series, and experimenting with video on demand, according to Variety, whose SXSW issue featured rich reporting on streaming. Documentary filmmakers and journalists making longform video cannot afford to not invest in good data visualization (most daily journalists know this already). Many documentary films do make claims and reveal conclusions that are powerfully enhanced with data viz. It’s easier than ever to do it right, but that makes it easier than ever to do it wrong, too. Some common errors: bad data; bad analysis; inappropriate display for the takeaway; trying to do too much; making claims that are too large. Basically, any journalistic/filmmaking team needs to include, at some point, people who are not innumerate. These are, post-Edward Snowden, on the radar of tech companies eager to serve journalists and filmmakers, such as Wickr (slogan: “encryption makes the world better”). 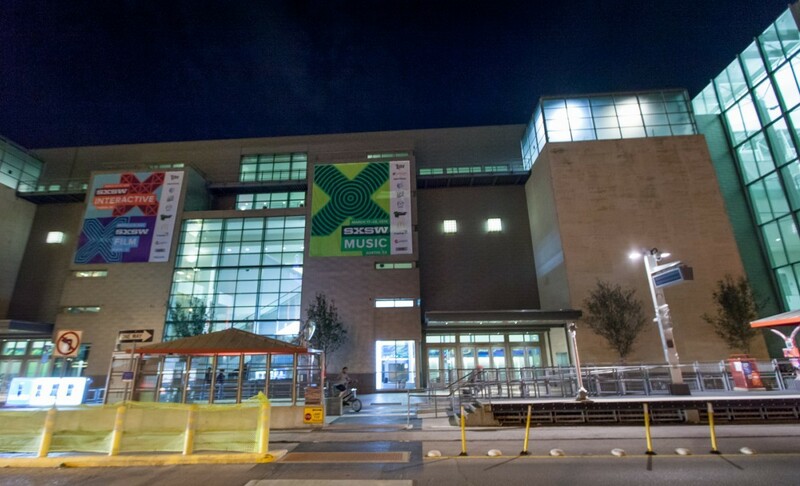 And it was exciting to see so much self-promotion in this area at SXSW’s relentlessly self-promoting panels, after Snowden’s charge last year to develop such products and services. As CMSI noted in our just-released study “Dangerous Docs,” investigative filmmakers, filmmakers making a film about an ongoing legal battle, and those working on sensitive topics all care even more than the rest of us (although all of us should care about our nakedness before our governments, service providers, and vendors). But the vastly proliferating field of services and products needs a sift that is far above my abilities. I’m looking to Electronic Frontier Foundation, Reporters Committee for Freedom of the Press, the ACLU and other public interest organizations to assess and recommend. One interesting project for filmmakers to note: “Behind the Blue Screen“ allows contributors to make video testimonials with anonymity, by uploading their work to a secure site and by “bluescreening” their faces. 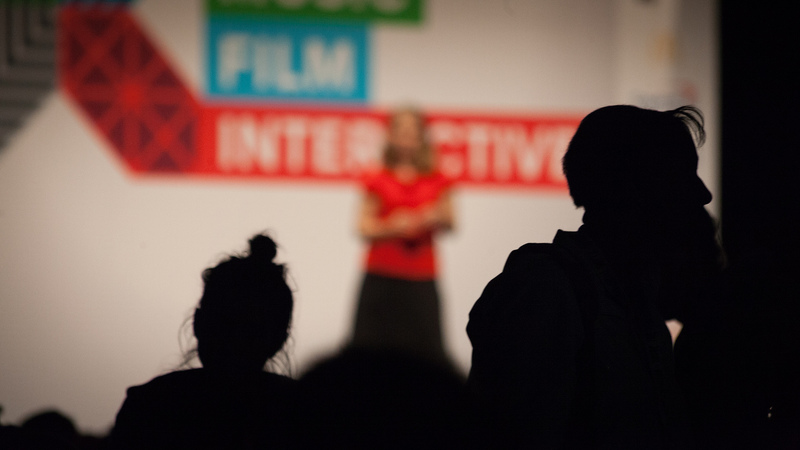 Meanwhile, last year’s buzzword, interactive documentary, continues to push the bleeding edge. Collective storytelling was evident in the work of “After the Storm,” an ITVS project that collects the experiences of Tuscaloosa survivors of a 2011 tornado. The message: Embrace the challenge to tell stories in real space, real time, and with new devices. The evidence: So far, easier said than done. 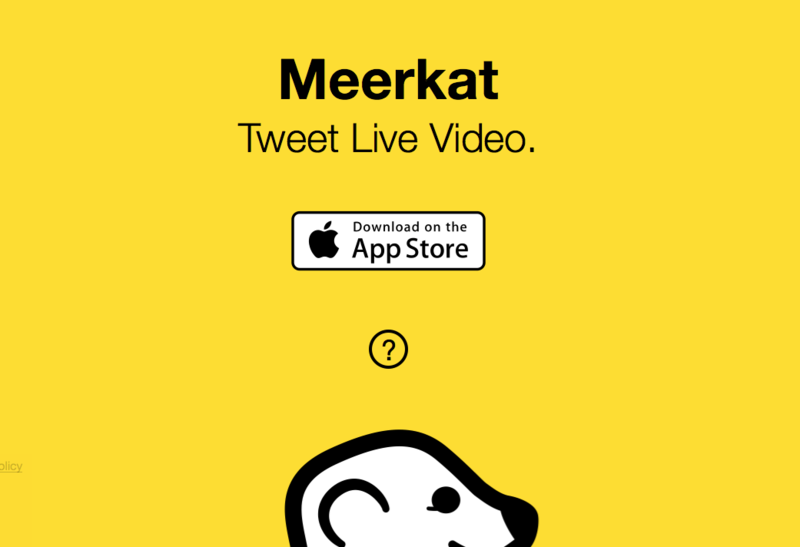 New apps debuted, including Meerkat, which lets you share livestreams from your phone easily; Asunder, which helps you tell place-based stories; the audio-enabling HearUsHere app, which the Van Gogh Museum in Amsterdam used to give visitors a tour with storytelling stops. Dutch “interaction designer” Klasien van de Zandschulp organized a virtual arts festival using mobile apps. James Frey’s book Endgame: The Calling was developed along with an elaborate, device-enabled scavenger hunt in multiple venues world-wide and related video; but the revenue stream will come from book sales. Vendors were promoting the use of their place-based communications technologies for civic and corporate uses as well. The University of Southern California Annenberg Innovation Lab’s Geoffrey Long, with his team, heralded the notion of integrating real-time experience with a movie, or a mobile app with a toy. Google’s Ingress is going to become essential to place-based projects, several speakers said. Again and still. With smartphone use growing rapidly, you can’t afford not to think about the mobile screen. YouTube accounts for 20 percent of bandwidth use on mobile devices, with Netflix picking up another 5 percent, according to Variety. Morgan Spurlock bemoaned the thought that anyone’s carefully edited and framed film work would be peered at on a phone, but said, “What are you gonna do?” Mobile is absolutely essential, of course, in the mobile-by-definition IoT. Crafting work appropriate for small screens is a challenge; among journalism apps, the card-based AJ+ got attention. Again and always. After all the tech is touted, the challenge of attracting and maintaining the attention of anyone has to do with a compelling story. The strategies to do that haven’t changed with digital; Shakespeare is still invoked; cliffhangers are being rediscovered; and “don’t be dazzled by gimmicks” is a refrain. This post originally appeared in two parts on the the site for the Center for Media & Social Impact, School of Communication, American University. Patricia Aufderheide is University Professor and Director of the Center for Media & Social Impact, School of Communication, American University, and co-author with Peter Jaszi of “Reclaiming Fair Use: How to Put Balance Back in Copyright” (University of Chicago Press, $12). You can give feedback at [email protected].